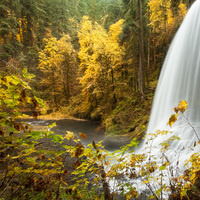 Take a break from studying to explore nature on a hiking trip to Silver Falls State Park. Mandatory pre-trip meeting will take place at the OP barn on Friday, December 1 at 5:00 p.m. Register at the OP Barn! Hosted by the Outdoor Program as part of Stress Less Week.